Hank Milam graduated from the University of Kentucky with a degree in Journalism. He has a Master of Science in Occupational Safety and Health from Columbia Southern University. He is a veteran of the US Army Intelligence Corp.
Mr. Milam recently retired from the freight transportation industry after nearly 55 years of service. 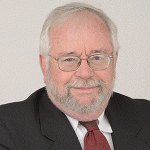 Hank has vast experience and expertise in both trucking and longshore/terminal cargo operations. He has overseen safety operations for breakbulk, dry bulk, and container cargoes in ports from Fall River, MA to Houston, TX. Mr. Milam was General Manager and Director of Safety for Florida Transportation Services for 23 years, where he successfully designed, implemented and managed the safety programs of longshore operations in Houston, Texas and Port Everglades, Fla. Hank trained all employees and supervisors in longshore safety and conductedthe 10/30 hour OSHA Maritime classes. He initiated, planned, and conducted monthly safety meetings in each port. He implemented and managed one of the first Facility Security Plans in Port Everglades. He developed the subsequent employee training and conducted the required drills and exercises required by Homeland Security. Mr. Milam designed fall protection systems for single point crane operations; developed presentations for the prevention of hazardous cargo fatalities; designed and directed the development and implementation of the Signal Mutual Indemnity Association Safety Committee’s Longshore Safety Orientation for New Hires; and designed, developed and presented a multitude of training programs for both novice and veteran longshoremen. For example, he trained 171 managers, supervisors and employees of the island of Grenada’s Port Authority, providing the first longshore safety training for most of these individuals. Mr. Milam has received numerous safety certifications and awards. He is a past chairman of the Signal Mutual Indemnity Association Safety Committee where he was awarded the Safety Leadership Award in 2014. He received the Certified Safety Training Specialist and Safety Planning Specialist designations from the National Association of Safety Professionals. He is qualified as an instructor for OSHA training classes in General Industry, Construction, and Maritime.